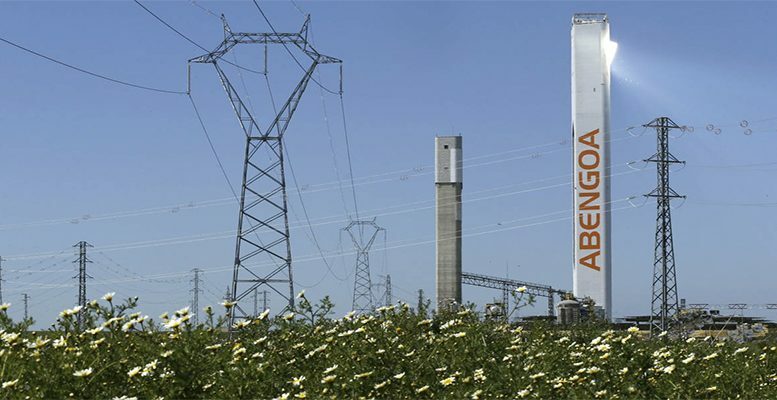 Abengoa posted net profit of 4,733 million euros in the nine months to September 2017, compared with losses of 5.413 billion a year earlier, due to the impact of the company’s financial restructuring on its balance sheet. Sales rose 5.5% to 1.1 billion euros in the nine-months period. Abengoa attributed the rise in sales to the increase in activity in Engineering and Construction in the development of EPC projects, mainly in Latin America and the Middle East, as well as the start-up of new concessions. The company also swung to a gross operating profit (EBITDA) of 69 million euros from a loss of 90 million euros a year ago. This improvement in EBITDA was due to certain exceptional items, such as the sale of the Norte III which had a postive impact of 66 million euros. There were also provisions for project construction costs, totalling 127 million euros, and advisory expenses related to the financial restructuring process for a total of 52 million. Without these exceptional items, EBITDA would have stood at 182 million euros, compared with 78 million a year earlier. La compañía ha achacado el incremento de las ventas al aumento de la actividad de Ingeniería y Construcción en el desarrollo de proyectos EPC fundamentalmente en zonas de Sudamérica y Oriente Medio y la puesta en marcha de nuevos activos concesionales. After these results, net financial debt totalled 5.491 billion euros, down from 5.578 billion in June 2017 and compared with 12.258 billion a year earlier. Of this total net financial debt at end-September, 1.801 billion euros corresponds to debt held by companies classified as being up for sale.